I’ve been working on some ideas for new small products, suitable for the limited purse-capacity of most people at the moment! 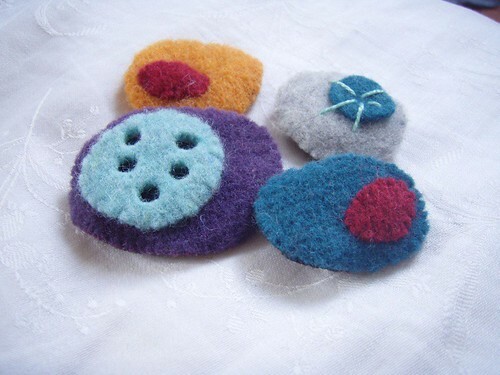 So for a start, new Pebble brooches made from recycled wool. Large ones are about 5cm (2″) and the small ones about 3cm (1″-ish). Prices around £6-8. What do you think? They’re sweet – if you don’t mind the word. They look like sweeties anyway, and pocket money price!